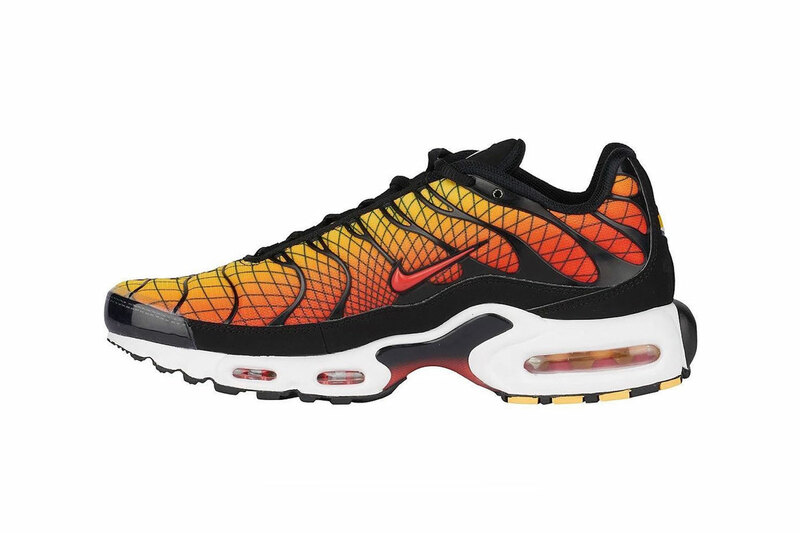 Two Colorways Come Together On the Nike Air Max Plus "Greedy"
Taking a cue from the Air Max 95 “Greedy,” Nike recently put together a similar mashup colorway for the Air Max Plus. This Air Max Plus silhouette brings together two of the model’s signature colorways with equal portions of “Hyperblue” and “Sunset” stitched and heat taped right down the middle. To highlight the special colorway, the TPU wave cages from both halves are misaligned and a square pattern has been applied to the upper. Continuing the split look of the model, the lateral and medial sides of the midsoles also sport “Hyperblue” and “Sunset” tones. Take look at the Nike Air Max Plus “Greedy” colorway above and look for the shoe to release December 8 at select retailers, nike.com along with the SNEAKRS app and Foot Locker. In case you missed it, C2H4’s Fall/Winter 2018 video lookbook unveils a Nike Air Vapormax 97 custom. Diamond Supply Co. & Coca-Cola Come Together on the Nike Air Force 1 "Coke White"
'SNL' Puts Together a "Live Sheck Wes" Parody, "Live Ginsburg"
Paying homage to Supreme Court Justice, Ruth Bader Ginsburg. An artful take on the Disney icon. Travis Scott Accepts November 18 as "Astroworld Day"
As well as hoodies, socks and tees.